Once you’ve decided you’re ready to take your wine, spirit or sake knowledge to the next level with a WSET qualification, the first step is to work out which qualification you want to achieve. Already enrolled? Take a look at our guide for top tips on preparing for your WSET course. WSET qualifications are designed to be studied progressively, with each level providing the best preparation for the following qualification. How far you progress through the levels is your choice and will depend on your personal goals. Take the time to review the information about each qualification on our website to understand the learning outcomes and study commitments required. For students completely new to the subject matter we recommend starting your study at Level 1. However, if you possess equivalent knowledge (or above), through alternative study or experience, it is possible to start at Levels 2 or 3. If you are unsure about your current knowledge levels speak with a course provider for guidance. Continue reading to find out about course providers. To achieve a WSET qualification (sometimes called a certification) you will first need to enrol onto a course. Your course may take place in a classroom or online, and it is only on completion of the course and relevant learning hours that you will be ready and able to attend your exam. 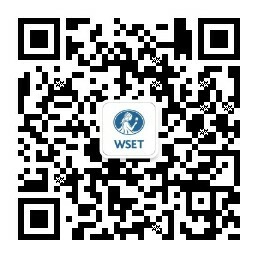 It is not possible to self-study for a WSET exam. Your exam must be completed in-person through the course provider you enrolled on the course with. WSET courses are offered by a global network of third-party providers called "Approved Programme Providers" or "APPs" for short. All APPs undergo a rigorous approval and monitoring process to ensure they meet the high standards expected, both to teach WSET qualifications and to administer exams in accordance with WSET policy. While we guarantee that APPs meet WSET quality criteria it is important that you, the student, choose the APP that is right for you. All APPs are happy to advise you without obligation, so you should feel free to contact and compare providers and ask questions to ensure they match your study needs. You may want to consider factors such as course availability and what delivery options are offered such as weekend, evening or intensive courses. Please note that course fees will vary between APPs, depending on the delivery of the course (classroom or online learning) and the course location, which can impact the cost of tasting samples. APPs may also include additional add-ons such as meals and accommodation or vineyard and distillery visits which can affect the final course price. To find your nearest course provider(s) use the Where to Study directory and select the qualification and location where you wish to study. Be aware that not all APPs offer the full range of WSET qualifications. This directory lists all the APPs who are open to the public. Some APPs may also operate at additional locations which are not included on this page. We recommend contacting the APP directly for their full list of courses and location availability. While there are more than 750 course providers in over 75 countries, regretfully not all locations will have a WSET course provider. However new providers are approved regularly and availability of WSET courses continues to grow. Once you have found the course for you, and checked that you meet the enrolment requirements for that course at your chosen APP, follow the registration process as advertised by the course provider. All payments for your course should be made directly to the APP. Your chosen course provider will provide you with everything you need to successfully achieve the learning outcomes that you will be assessed against in your exam, including the relevant course Specification (i.e. the curriculum and regulations) and WSET study materials. Any questions you have during or after your study should be directed to your APP. Before you sit for your exam your course provider will provide you with a WSET candidate ID, this is your unique WSET number issued by WSET Awards, which will be yours for life and used every time you register for a WSET exam. In addition to your candidate ID you will need to bring an official photo ID (passport, government ID card, driver’s licence etc) to your exam. If you do not have your photo ID with you on the day of your exam, you will not be able to sit for your exam. All WSET exams are closed book. You should refer to the qualification Specification to review the exam process and assessment format for your chosen qualification. Following the exam your papers will be sent to WSET Awards for marking. The timelines for this process vary by qualification and can be found in the qualification’s Specification. Once your papers have been marked and graded your APP will be sent your results and it is their responsibility to distribute these to you along with your WSET Awards-issued certificate and pin.